Shadow Queen. she already has the Fire Peach alt and I'm not sure if a ponytail is really that much to brag about. WYR have a glasses-based 3D mode or keep the rumble feature? Remaster. That's already 1/3 of the stages in 64, not to mention 5 of the 9 are already in Smash 4 (whether in only one version or in both). WYR have zero things released on what Smash Switch adds (absolutely nothing until the invitational, and nothing else they add until launch), or have Sakurai release something every week or so (Characters, stages, etc., like he did for Brawl). Would you rather Large Nose Ganondorf from Melee replace Ganondorf's default costume, or Large Beak Falco from Melee replace Falco's default costume? 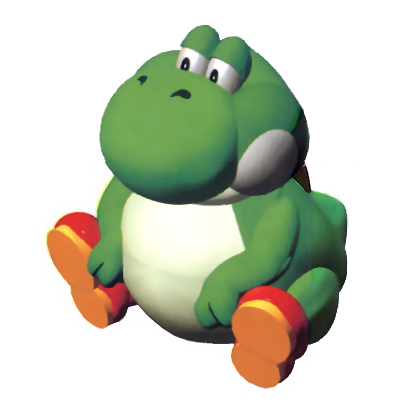 WYR have Baby Mario or the Stork for another Playable Yoshi Character? WYR have Jumpman, Pauline, Cranky, DK Jr. or Stanley as a DK arcade rep? WYR have Midna or Tetra as a playable character? Nintendo makes all preceding Smash games absolutely amazing casually(borderline flawless 10/10 rated from 99% of all people) with a pretty good competitive design(think no better than Smash 4). It will never increase in competitive focus or change gameplay from Smash 4, but each game will be substantially better than the last casually speaking(think of story mode, game modes, bosses, minigames, anything+everything). Nintendo's new direction of Smash is a competitive Esport game 1st, and casual 2nd. The gameplay will be the perfect mix between Smash 4 and Melee, but not be that great casually + content-wise. It will be Overwatch style where there really isn't much single-player content or story mode. The devs will work with the community in a similar way Blizzard does with OW. The game balance won't be perfect, but it will eventually get better over time. Option A, by a longshot. Call me crazy, but I want Smash to appeal to a wide audience, and thus I think equal focus should be given to all aspects of each installment rather than hyperfocusing on the multiplayer experience and leaving the singleplayer to rot like Smash 4 did, which I think really hurt the final product more than most were willing to admit when the game was new. That way, anyone who really likes something that the competitive scene may not be super keen on - Story Mode or Break the Targets, for instance - won't feel alienated by future installments. Besides, this approach would probably lead to greater sales numbers from a purely pragmatic standpoint, even if I don't exactly agree with that line of reasoning. Would you rather have Pichu, Squirtle, and Ivysaur all return (not necessarily with the same movesets as last time, mind you), but with another Pokemon cut to make room and no Pokemon newcomer, or just Decidueye get in and all the Pokemon in Smash 4 remain intact? Would you rather have Sandbag or Baby Mario be playable? Sandbag. There's not enough Smash Bros reps in Smash Bros. Sure the Mii Fighters are technically representing the Smash logo but Smash Bros needs more representation in Smash Bros. Odd how Nintendo's biggest fighting game doesn't have a playable character in Nintendo's biggest fighting game. Would you rather Mario saying "YAHOO!" every time he attacks or Luigi saying "Help help." every time he gets hit? YAHOO! give Mario some more personality by any means necessary if you ask me! WYR have Smash Switch be intentionally designed with mods in mind, or get King K. Rool in the base game? K.Rool in base game, I'm not too fond of mods. WYR all other games to be built on Brawl or 4? WYR have the ICs stay cut but get their own new game at the same time, or just bring back the ICs and not give them a new game? IC in Smash! I won't pressure for them to get their own game until I have evidence that it's good. WYR have 3D Mr. Game & Watch or helmetless Captain Falcon? Helmetless Falcon. 2-D is practically G&W's entire identity at this point, and taking that away from him would be taking away a huge part of what makes him stand out from the crowd. Would you rather have Yoshi's design revert to Tiny Nose Yoshi from Melee, or have Zelda revert to her Melee design? TP Zelda is gorgeous but her Melee design was fine too. That gave me an idea: Melee or Brawl designs in clean HD? WYR have a Goomba that plays Baseball or a Boo that plays Soccer? Boo that plays soccer, like every other logical thinker. Bowser with Jet Boots or Link with Monado? WYR have Peach with the Ragnell (Ike's Sword) or have Marth with King Dedede's Hammer? Marth with DDD's hammer because he'll find a way to swing it gracefully and I want to know how. Buster Sword Kirby or Falchion Kirby? Would you rather have Bandana Dee or another Kirby character? WYR have a newcomer that seemingly everyone wants or underdog characters? It really depends on the character. Ones that come to mind are Ridley, KKR, and Geno. I would pick ones that everybody wants. Would you rather have 2 new Donkey Kong characters or 2 new Kirby characters? WYR have a return of Pichu or have Togedemaru? , be used or Pikachu speaking like he does in the movie. Would you rather have Gru from Despicable Me or have Shrek? WYR have a SNES StarFox stage or a GB Mario Land stage? Would you rather have your main in Smash 4 come back, but your most wanted character doesn’t make it in OR your Smash 4 main gets cut, and your most wanted character gets in? Would you rather have final smashes be cut or have Pokéballs and assist trophies cut? WYR have Brinstar Depths OR Frigate Orpheon OR Norfair? Would you rather have every 3DS stage return or every Wii U stage return (not including 64/Melee/Brawl stages)? Robin. I find them both rather annoying to play against, but I like Robin's design and toolkit more from a conceptual standpoint and I really dislike the circumstances surrounding Corrin's being added in in the first place. Would you rather have Little Mac from Captain Rainbow replace the current Little Mac, or the infamous Large Yoshi replace Yoshi? Would you rather have no new Zelda characters (but Ganondorf and Toon Link are decloned) or 3 new Zelda characters are added (but Ganondorf and Toon Link stay as semi-clones)? WYR have all the newcomers be from the mediocre Canadian cartoons Cartoon Network used to put on in the afternoon as filler, or all of them be different variants of Mario? Thé more Marios, the better? WYR have Duck Hunt duck switched with Falco or Pikmin switched with little Yoshis?